Here is the news. It’s bad news. A woman who made a video on the internet about women in games has been driven out of her home by death threats and misogynistic abuse. 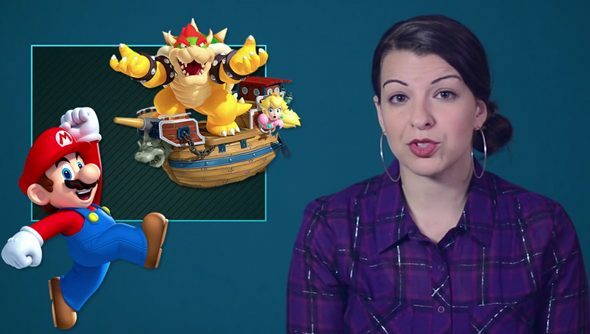 Anita Sarkeesian, author and host of the Tropes vs Women in Video Games series, received a torrent of online abuse following the release of her latest video, which focused on the objectification and sexualisation of non-playable women characters in games. “Some very scary threats have just been made against me and my family,” she tweeted. The threats prompted her to leave her home and contact the authorities. Here’s the video. Sarkeesian’s latest work forms the second part of her analysis of women as background decoration in games, exploring and outlining the well-worn trope of women as titillating non-interactive sideshows, as well as the perpetual victims of violence, with particular attention paid to their curious roles in scripted open-world events. It’s a legitimate, intelligent and well-reasoned piece of criticism that continues Sarkeesian’s efforts to highlight and catalogue some of the most prevelant clichés and tropes in games. And that these traits exist, she repeatedly stresses, does not preclude any enjoyment of the games that contain them. So you can still have fun. Her conclusions invite further thought and discussion around the topics being investigated, all in aid of the ultimate betterment of games development and the total cultural enlightenment of our civilisation. Regardless, Sarkeesian has been subjected to a scathing and violent backlash in the form of a bizarre campaign of anti-feminist harassment. For her efforts she’s received a depressing litany of online abuse, with highly sexualised threats of violencebeing made against her and her family. An anti-Sarkeesian Kickstarter, run by the Bebop and Rocksteady of woman-hating, is raising funds in an attempt to discredit her work. There’s a positive side however. Sarkeesian is continuing her series in the face of her abusers. Many developers, including Tim Schafer, have tweeted in support of Sarkeesian too. And while those developers who are siding against misogynist attacks have been threatened with boycotts from Sarkeesian’s detractors, they have instead found that their sales have in fact been boosted. so, I checked my sales.. that boycott has given me my best sales bump in a month or two. Agree or disagree, Sarkeesian’s work is the sort of critical thinking around games that ultimately works to improve things for everybody who plays them. It does not call for censorship or restriction, but simply for games developers to be more conscious of the inherently sexist tropes that they repeatedly and lazily fall back on. And agree or disagree, online harassment is the utterly deplorable tactic of powerless cowards who’d rather women be shouted out of the games industry. Those who take part in it are the sleaziest of germs, while those who condone it aren’t much better. Editor’s note: Comments have been turned off for this story. Some things to note: this is PCGamesN’s house, and if you want to remain part of our community we ask that you remain civil, courteous and do not resort to insults: either of us, other commentors, or the subjects of our stories. We’re more than happy to host discussion, but we’re disappointed with the tone of tonight’s discussion.